ListenHefer is a small helping tool for daily use to merge, filter and sort unformatted lists. The main usage is to get a result list out of two unformetted lists using a specific working logic. For example you can get all entries from list A where they are not present in list B. 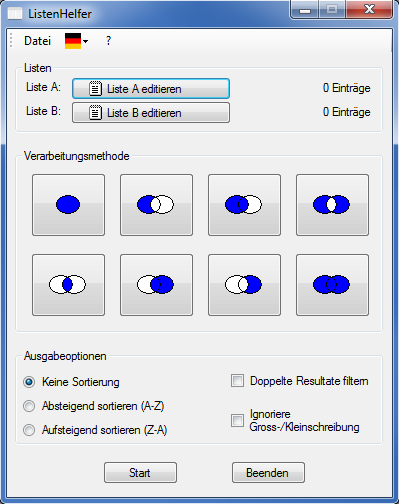 Or you can get all common entries from list A and list B.
ListenHelfer is localized in German and English.